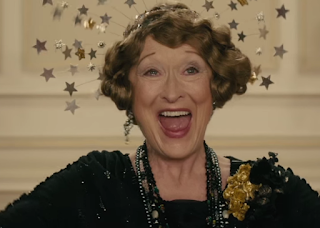 New clip for "Florence Foster Jenkins"
Despite the shrill, in a matter of just a few frames, Meryl is able to convey the wide-eyed naivety representative of someone who's been kept in dark about her (lack of) ability. 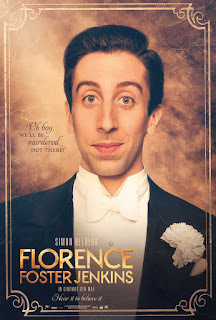 Simon Helberg's facial expressions are also priceless. Opens one week from today in the U.K.! New U.S. trailer for "Florence Foster Jenkins"
I prefer this trailer to the U.K. version. Here we finally get a small taste of Florence's poor singing. They also briefly touch on her illness and its effect on both Florence and her partner, St. Clair Bayfield, providing a nice juxtaposition to the film's mostly lighthearted mood. The movie itself looks like great fun, and both the acting and cinematography appear terrific. We could be in store for a very fine film with impressive box-office returns. 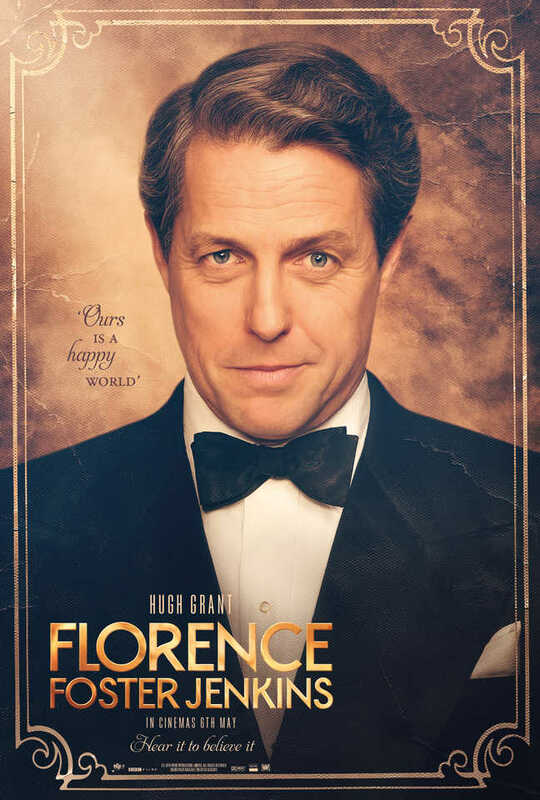 New posters for "Florence Foster Jenkins"
The film opens in wide release in the U.K. a week from Friday. Looking forward to more reviews. It's currently at 100% on Rotten Tomatoes with seven reviews thus far. New featurette for "Florence Foster Jenkins"
I enjoy hearing comments from multiple members of the film's production. The featurette also reminds me of how beautiful the cinematography is. They're still holding out on letting us hear any snippets of Meryl's butchered ballads, but plenty of people will know soon enough. Florence opens wide in the U.K. on May 6. Should Word on the Streep do podcasts? Howdy, everyone. I've been thinking about this possibility for a while and am interested to know what people think. So many sites out there post podcasts with a handful of folks opining on any number of topics. Particularly on blogs that even remotely discuss film awards races, I feel there is a fairly wide variety of audio info available. So why not us? Truth be told, I don't exactly know what it would take to organize a podcast, but I feel there are situations where it's difficult to rely solely on the written word to express our thoughts. There's just so much to say about Meryl! As CJames had suggested a couple months ago regarding a "Let's Talk About" tag, I'm tentatively considering having that section turn into a podcast section, where we could discuss countless topics related to Meryl. Beginning with specific film performances could be an easy start, but we wouldn't have to be limited to that. I'm kind of excited about his possibility, but would like to get some feedback on some pros and cons. Paramount officially sets U.S. release date for "Florence Foster Jenkins"
Deadline is reporting that Paramount will release Florence Foster Jenkins on August 12 in the U.S. That just happens to be the the five year anniversary of Word on the Streep. Is this a sign? I recently posted that IMDb had the date listed as August 31, but that it seemed strange and therefore possible that an earlier date would be made. Well, the date is now earlier, but it's still four months after its world premiere, which happens to be today! I'm very much looking forward to reading a few responses from early screenings, assuming there's not an embargo on reviews. Meryl films as of late certainly seem to find their way to August time slots. Ricki and the Flash, Hope Springs and Julie & Julia were all released in that month, aiming to capture that adult audience who craves something other than a superhero flick or animated film part x. For the most part that recipe seems to work favorably for dramedies such as Florence. Hopefully this will fair more like Julia than Ricki. Stay tuned. 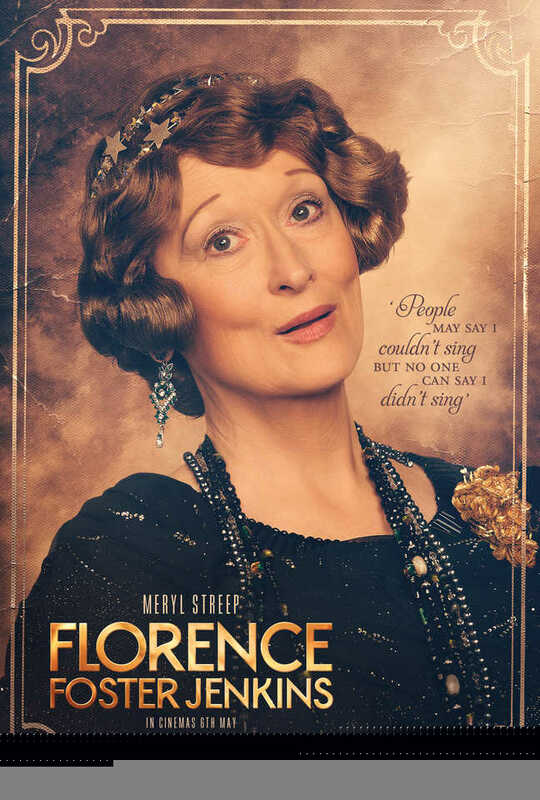 Soundtrack revealed for "Florence Foster Jenkins"
We can see Meryl listed on six songs for the soundtrack. Let's keep in mind, however, that these are not going to sound good. I imagine that the rest of the tracks will be simply lovely. Incidentally this is the third feature film soundtrack involving Meryl singing solos in the past year and half, following Into the Woods and Ricki and the Flash. I still can't believe I might not be able to see this film until the end of August considering it opens somewhere on planet earth within a few weeks from now. We'll see. 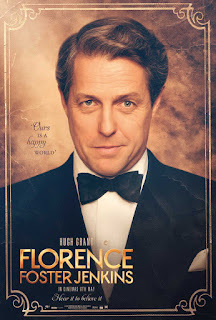 The Florence soundtrack lands the same day as the film's U.K. wide release date, May 6. "Florence Foster Jenkins" set for U.S. release in August? IMDb is now showing that Florence Foster Jenkins will be released in the United States on August 31. That's a Wednesday. OK this seems bizarre. The film has a wide-release set in the U.K. for May 6, almost four months prior. I don't think it's weird that the month of August was chosen, I'm just confused as to why there would be such a large gap between wide releases. It's not like it's premiering in Cannes in May or at some other festival first and then going wide in the States. And yes, different countries often don't get films until months after their original premiere, but this seems unprecedented for a Meryl Streep film that will seemingly be a fairly mainstream pic that's set in the U.S. I realize that the picture was filmed in and produced by companies in the U.K. but it's still perplexing. For all we know this could change. More to come.